A lot of businesses are finding out that data is just as important as the items and services they offer. Business involves creating value for the buyers and the more you provide for them, the more successful your online business will be. It’s challenging to measure an accurate value for your marketing and advertising campaigns. 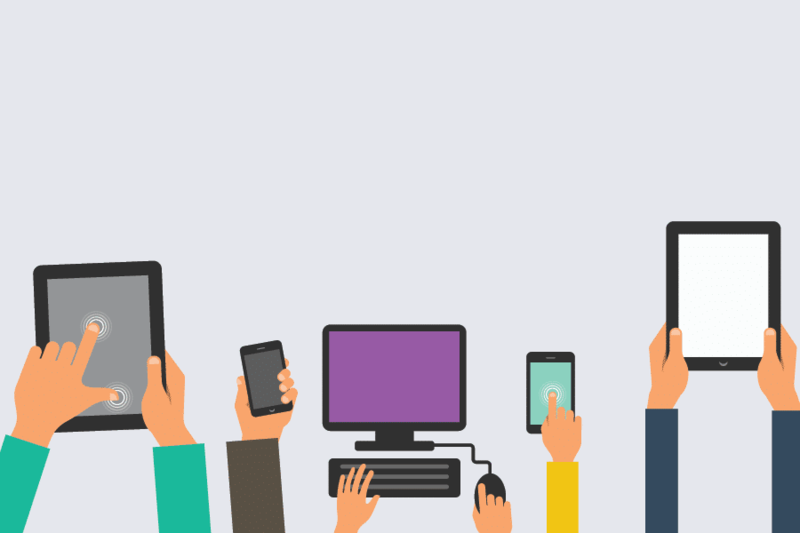 With A/B Testing, we are able to store, analyze and create actionable data. Before we talk about its relevance in your brand, let’s first get to know it a little better. 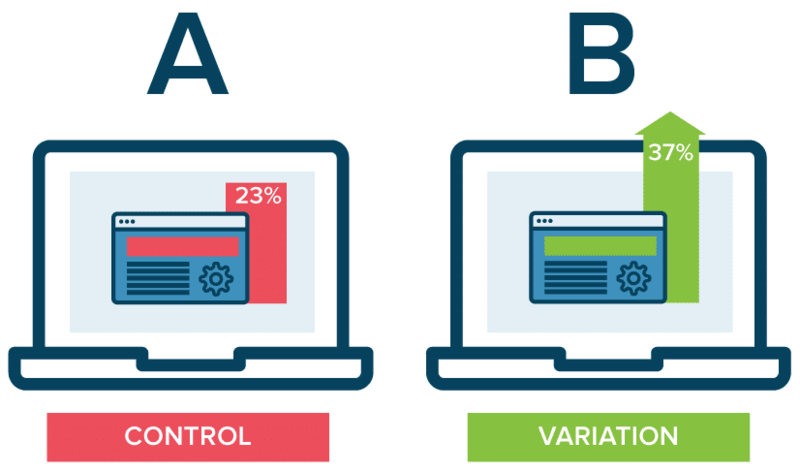 A/B Testing may be defined as the simultaneous experimentation between 2 or more pages in order to see which performs better. Despite its name, it can actually be conducted between more than 2 pages. When you have decided what you want to test on the landing page, you can create different variants which you will enter into the experiment. Champion Page- It is the winner page once you complete the test so it is the page with the best conversion performance. Challenger Page(s)- These are the different versions that challenge the current champion page. Page Variant- This is the term used for any new version you created for your landing page during the test. The champion and all challenger pages are all variants. While you are in the process of creating ideas and variations for the A/B tests, you are forced to run through and evaluate every aspect of your current content. This shows that while you are considering and creating these variables, you are also able to make lists of future improvements in other aspects. This shows that the simple decision of doing A/B tests already makes the final version a better experience for the users. A/B Testing is one of the easiest and most effective ways of creating content that will bring more visitors and turn them to buyers. When you take the time to make at least 2 versions of the campaign, you are easily able to compare what works and what doesn’t. This takes longer but when executed right, it will definitely bring you more leads. With the additional time and effort you put in creating your website page, it is quite hard find out that visitors just “bounce” from your site. They don’t even spend any time looking at your content and other pages. Once this happens to you, it’s probably time to try out A/B testing. The changes don’t have to be drastic, it can be something simple like changing up the font or something bigger like the headline. This comparison will provide you a winning combination of parts that will keep the visitors longer. They will be able to see the value of the content you provided which may convert them to a customer. It can be hard to make specific guesses on what the visitors will and won’t like from your website. This is why A/B testing is important. When you’re editing the website for the A/B testing, some people limit themselves. They only use forms, images and actual text. However, this actual involves more than that. It can be anything that relates to the marketing and advertising campaigns both offline and online. There are times that the smallest edits create the biggest change in engaging readers. Aside from converting visitors into buyers, A/B Testing also aids in achieving higher values for your products. When you find the design that works in converting, that doesn’t mean that should just stop there. When you find what works for the lower end products or services, you can A/B Test once more. This time you can create a more refined version which will reflect better for your higher end items and services. With few edits and careful attention to the A/B comparison, you will see how customers are willing to pay higher for options that are presented to be of more value. There are a lot of cases that big revisions in your website can lead to high costs and immense strategy changes. A/B Testing may help you examine these effects before you fully commit to major decisions. This will also increase your chances to succeed. Basically, it will help you avoid unnecessary risks as they allow you a trial period where you can target your resources to see the most efficient option.This will help increase ROI for both short-term conversion and long-term customer loyalty. Keep in mind that external factors may affect the results of the test. You have to consider holidays, force majeure and other events that may impact customer behavior when planning the test. A great advantage in A/B Testing is that it’s easy to analyze the results. When you analyze the date from the A/B test, the results easily reveal who is the “winner” based on the simple and straightforward metrics. As you can see, there are a lot of benefits when it comes to A/B Testing and it is highly relevant and quite easy way of testing your campaign. If you want to give it a try, we employ this strategy in all of our campaign to ensure optimum results that will be a sure success. We want to help you so feel free to hit us up anytime!